To celebrate Black History Month, Engadget is running a series of profiles honoring African-American pioneers in the world of science and technology. Today we take a look at the life and work of Jerry Lawson. If you've got fond memories of blowing into video game cartridges, you've got Gerald "Jerry" Lawson to thank. 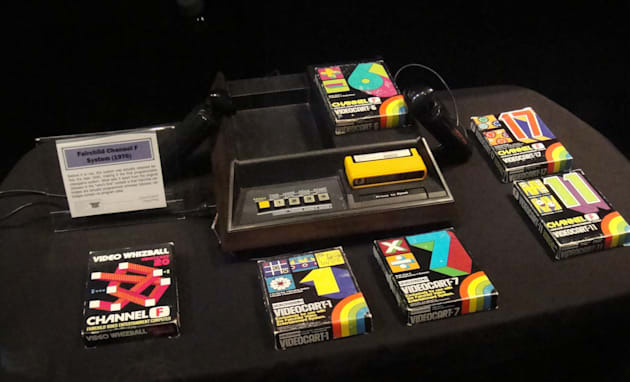 As the head of engineering and marketing for Fairchild Semiconductor's gaming outfit in the mid-'70s, Lawson developed the first home gaming console that utilized interchangeable cartridges, the Fairchild Channel F. That system never saw the heights of popularity of consoles from Atari, Nintendo and Sega, but it was a significant step forward for the entire gaming industry. Prior to the Channel F, games like Pong were built directly into their hardware -- there was no swapping them out to play something else -- and few believed that you could even give a console a microprocessor of its own. Lawson, who passed away at 70 from diabetes complications in 2011, was the first major African-American figure in the game industry. And, just like the tech world today, it still isn't as diverse as it should be. Only 2 percent of game developers in 2005 were African-American, according to a study by the International Game Developer Association (who also honored Lawson as a game pioneer a month before his death). But things were even worse during Lawson's time: For his first five years at Fairchild, the company and its executives actually thought he was Indian. He was also one of two black members of the Homebrew Computing Club, a group that famously included Steve Jobs, Steve Wozniak and other Silicon Valley pioneers. Born on December 1, 1940, Lawson grew up in a Queens, New York, housing project, where his predilection for engineering was on display early on. His father, a longshoreman with a fondness for science, gave him unique gifts like an Irish mail, a handcar typically used by railroad workers. More often than not, Lawson ended up being the only kid that knew how to use them. His mother arranged it so that he could attend a well-regarded elementary school in another part of the city (i.e., one that was predominantly white), and she stayed actively involved in his education throughout his childhood (so much so that she became the president of the PTA). Lawson also credits his first grade teacher as a major inspiration. "I had a picture of George Washington Carver [a black inventor who was born into slavery] on the wall next to my desk," he told Vintage Computing in an interview. "And she said, 'This could be you.' I mean, I can still remember that picture, still remember where it was." It's hard to deny Lawson's geek cred: He ran an amateur radio station out of his housing project after building a ham radio on his own (complete with an antenna hanging out of his window and a radio license). He also spent his teenage years repairing electronics all over the city. Most impressively, he taught himself most of what he knew about engineering. Lawson attended Queens College and the City College of New York before working at several firms, including Grumman Electric and Federal Aircraft. After scoring a job with Kaiser Electronics, which focused on military technology, Lawson moved to Silicon Valley. It's hard to fathom today, but trying to make removable game cartridges was an incredibly new concept in the '70s. Lawson and his team at Fairchild had no clue how the cartridges would fare after being plugged in and out multiple times -- remember, nobody had ever done it before. The company also caught the attention of the FCC, as it was aiming to deliver the first consumer device with its own microprocessor. Lawson's description of meeting the agency's grueling requirements reads like engineering comedy: Fairchild had to encase the console's motherboard in aluminum; it put a metal chute over the cartridge adapter to keep in radiation; and every cartridge it produced had to be approved by the FCC. He was also justifiably apoplectic when, years later, Texas Instruments successfully lobbied to change the laws that determined the FCC's harsh requirements. As for how race affected his job prospects during the '60s and '70s, Lawson told Vintage Computing it "could be both a plus and a minus." If he did well, it seemed as if he did twice as well, since any accomplishment received instant notoriety. But the idea of a 6-foot-6-inch black man working as an engineer was still surprising to many people. Lawson noted that some people reacted with "total shock" when they saw him for the first time. First of all, get them to consider it [technical careers] in the first place. That's key. Even considering the thing. They need to understand that they're in a land by themselves. Don't look for your buddies to be helpful, because they won't be. You've gotta step away from the crowd and go do your own thing. You find a ground; cover it; it's brand-new; you're on your own -- you're an explorer. That's about what it's going to be like. Explore new vistas, new avenues, new ways -- not relying on everyone else's way to tell you which way to go, and how to go, and what you should be doing. "The whole reason I did games was because people said, 'You can't do it,'" Lawson told the San Jose Mercury News in an interview. "I'm one of the guys, if you tell me I can't do something, I'll turn around and do it."